Those on a long trip or on an excursion away from the main electric power source need a dependable battery without the need for recharging on the way. Many people normally use the battery provided in their caravans, recreation vehicles or ‘camper trailers’ without understanding the features of the battery such as how much electric current it can generate and how long the charge lasts. Sometimes these batteries get drained out completely with little chance for repairs. People usually going out on excursions or undertaking long day journeys should be aware of different types of batteries, type of battery required for such trips and something about battery maintenance. The batteries installed in vehicles are ordinary starter batteries designed to generate short, huge bursts of electric current to start the engine of the vehicle and after that they get fully discharged and are recharged while driving the vehicles. This type of battery is however not suitable as substitute for providing steady power for long hours without the need to recharge frequently. A deep cycle battery is ideal for such purposes. It provides constant power over a long period without getting completely discharged. 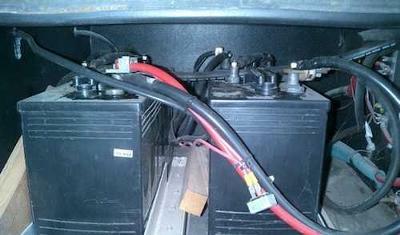 A deep cycle battery is a sealed lead-acid battery or valve regulated lead acid battery (VRLA). 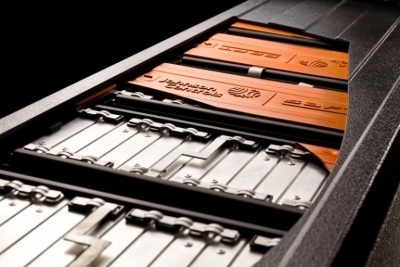 VRLA batteries are further divided into absorbed glass mat battery (AGM) and gel or gel cell battery. While the life of a typical automotive starter battery is generally up to 4 years, a normal deep cycle battery lasts up to 6 to 8 years and an absorbed glass mat battery is even more durable, lasting up to 10 years. However, the longevity depends on how well the battery is used and maintained. The capacity of a battery is expressed in Ampere hours. Suppose one has 100 Ampere hour battery and uses only one light. This consumes only 1 amp from the battery. Theoretically, the light remains switched on for 100 hours. However, in practical terms, it will be safer for the battery if the light is used only for 50 hours. If someone wants to compute how long the battery is likely to carry on, it is necessary to prepare a list of all the electric appliances, their power requirements and how long they are used daily. For instance, someone uses two lights consuming 1 amp power each for 3 hours, the power consumption will be 2×3= 6 ampere hours. If all appliances need 20 ampere hours each day and the capacity of the battery is 120 ampere hours, it will last three days without recharging and if it is AGM battery, it may last a little longer. Taking another example, suppose someone has two 100 ampere hour AGM batteries connected in parallel, with at least 50% or 100 ampere hours in reserve, the battery charge is likely to last for three days without any difficulty even if he uses several household equipment, such as water pump, TV etc. However, it is better if he uses a battery voltage monitor to check the level of charge from time to time. A good battery charger is as important as a quality deep cycle battery. Among several types of battery chargers, a ‘smart multi-stage’ battery charger is a top-rated battery charger that will charge the battery quickly and also attains high level of charge. Besides ensuring a longer lifespan for the battery with more capacity than when charged using a constant voltage charger costing around $20. Where batteries are to be placed depends on their type. When connecting two batteries together, it is important to make sure that the correct size of cable is used. If the cable is not of correct size, the batteries will not work. It should be noted that if the wire is of smaller gauge, there will be more voltage loss and a longer run will also cause more voltage loss. In case of any doubt, the user should get professional advice in these matters.